i. The award was bestowed upon him by Union Information and Broadcasting Minister Arun Jaitley at a special function held in Prithvi Theatre in Mumbai, Maharashtra. ii. He is the 46th film personality to receive this honour and third member of his illustrious family after father Prithviraj Kapoor (1972- Posthumously) and elder brother Raj Kapoor (1987). 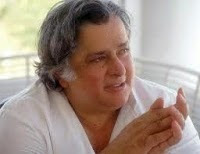 Born as Balbir Raj Prithviraj Kapoor on March 18, 1938 in Kolkata, West Bengal. Started acting in films as a child in late 1940s. Since then he has appeared in 160 movies altogether, 12 being in English and the rest in Hindi. His Bollywood debut as a lead actor was in the film Dharmputra (1961). His best known performances as child artist were in Aag (1948), Awaara (1951) and Sangram (1950). He is also best-known for his performances in Hindi films like ‘Jab Jab Phool Khile’, ‘Deewar’ and ‘Kabhi Kabhie’. American and British films: The Householder (1963), Shakespeare Wallah (1965), Bombay Talkie (1970), Heat and Dust (1982), The Deceivers (1988), Side Streets (1998) etc. i. WHO has hailed Liberia’s Ebola eradication efforts as an enormous development in the long crisis and monumental achievement as the virus has killed more than 4,716 people in the country alone. ii. Now, Liberia’s neighbous Guinea and Sierra Leone are only two countries fighting to stop Ebola outbreak since it began in December 2013.
WHO can declare a country Ebola free, if no new cases are reported over two incubation periods of virus i.e. 21 days. In case of Liberia, no new cases of Ebola were reported in past 42 days i.e. twice the number of days the virus requires to incubate. The last confirmed death in Liberia was reported on 27 March 2015.
i. Haryana Government has decided to include Deaflympics in its Sports Policy in order to boost the morale of differently-abled sportspersons in the state. Decision in this regard was taken during a state cabinet meet chaired by Chief Minister Manohar Lal Khattar. ii. With this inclusion, Deaflympian medalists now will be able to get cash rewards, jobs and other benefits from the state government. Deaflympics is an International Olympic Committee (IOC) sanctioned event, at which deaf athletes compete at an elite level. The first event of was held in Paris in 1924. It is the first international sporting event for athletes with a disability. Previously, it was known as World Games for the Deaf and International Games for the Deaf. Organised by the International Committee of Sports for the Deaf, (French- Committee International des Sports des Sourds) since first event. Deaflympics are held every 4 years and often considered as the longest multi-sports event, excluding the Olympic. To qualify for the Deaflympics, athletes must have a hearing loss of at least 55 decibel (dB). In order to maintain equality and same level in participation among athletes, hearing aids, cochlear implants are not allowed during the games. i. The post of Director General (DG) of Bureau of Police Research and Development had been lying vacant since March 2015 following the retirement of Rajan Gupta. ii. Presently, Wasan is working as Special Director General in the National Investigation Agency (NIA). He is a 1980-batch IPS officer of the Andhra Pradesh cadre. Other Appointment- Indian Postal Service (IPoS) officer Sheuli Burman was appointed as the Chief Vigilance Officer (CVO) in the Indian Telephone Industries (ITI), Bangalore. i. Book titled Unbelievable – Delhi to Islamabad authored by senior Advocate Prof. Bhim Singh was released on 8 May 2015 by Vice President M Hamid Ansari in New Delhi. ii. The book, a travelogue is an effort initiated by the lawyers of India and Pakistan to work jointly to ensure that Pakistani prisoners languishing in Indian jails are treated in accordance with the spirit of the Constitution of India. Similarly, the same treatment should be mended for the Indian prisoners on Pakistan and they should be given fair trials.